May | 2012 | Quilting my way through life! 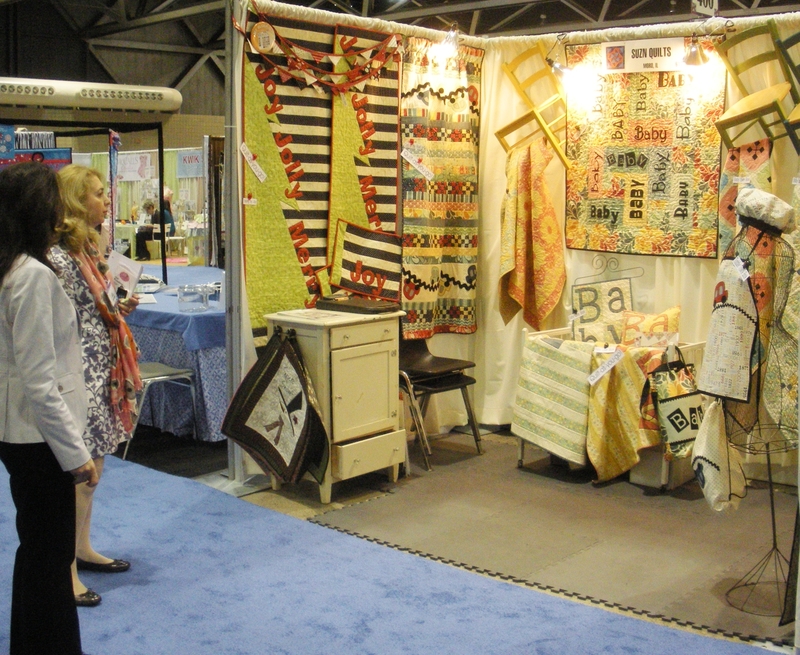 As promised, a bit more about Spring Quilt Market in Kansas City. 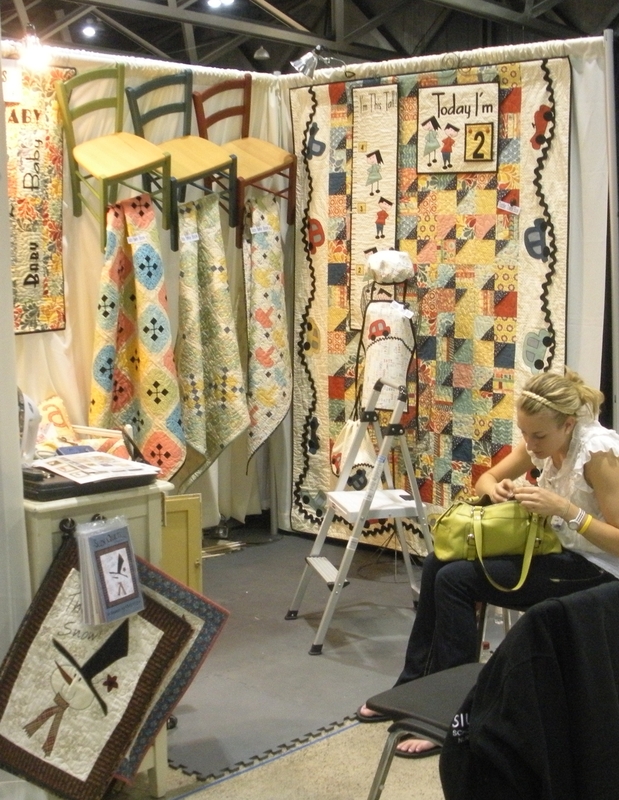 International Quilt Market is held at the convention center, downtown. 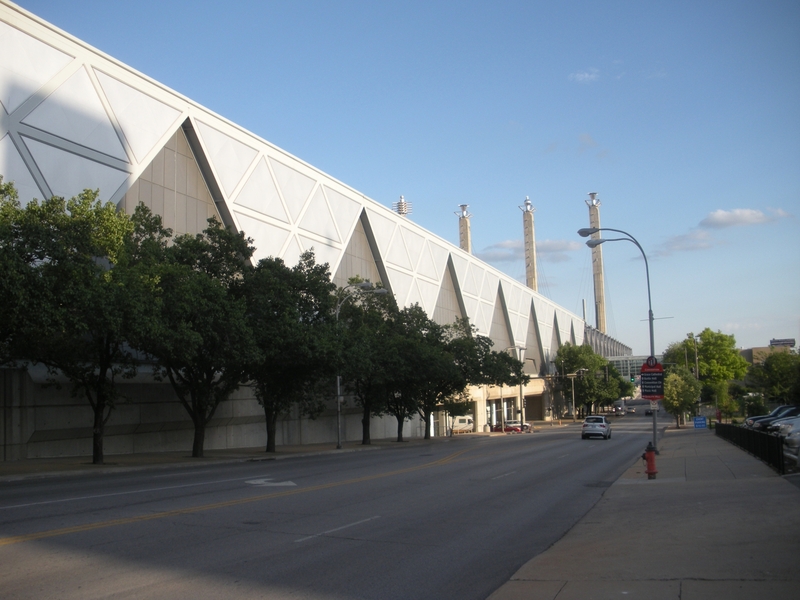 This is a neat convention center, because you can drive right under it. You enter on level 2, so the main convention center is on level 3… it was a bit confusing in the beginning. 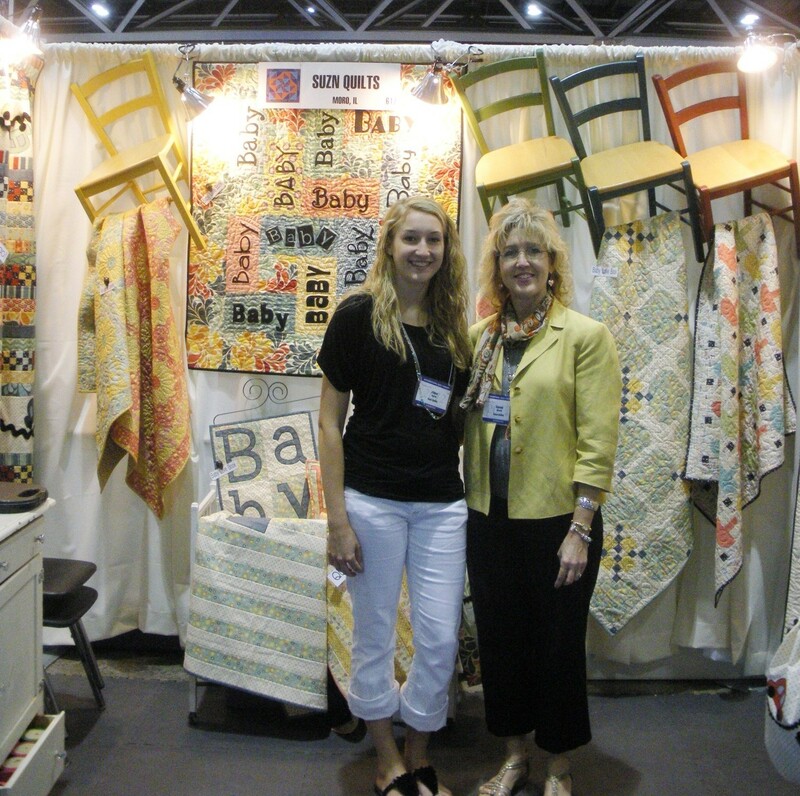 & lastly my daughter, Chloe & me in our booth. Lots of standing and handing! It makes for a very long day when you stand in basically the same place from 9:30a.m. until 6p.m. for three solid days (4p.m. on Sunday). 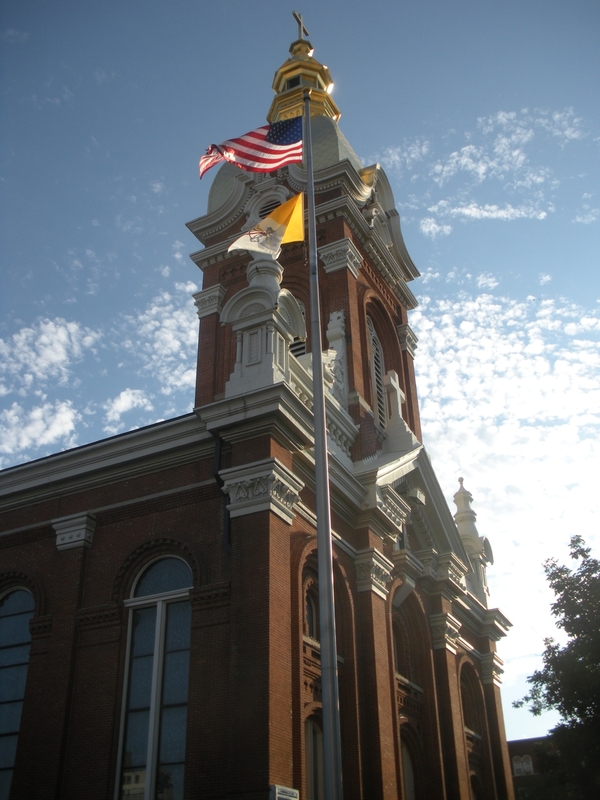 Then when it was all over we had to kick it into high gear and pack it all up and haul it all out to make it to Mass at the Cathedral, luckily just a block away. And yes, this is my photo!!! Our hotel was across hwy. 70 from the KC Royal stadium. 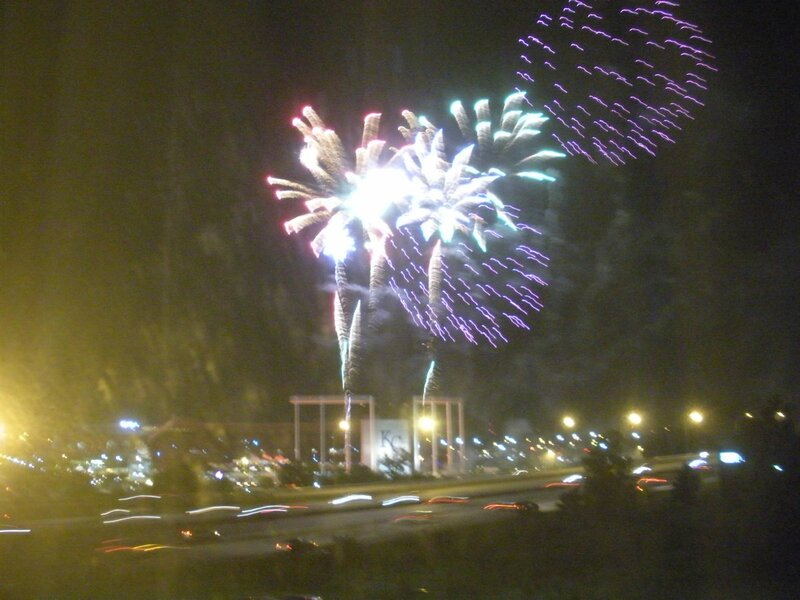 Nope, we didn’t go see a game, but one night we had the pleasure of watching fireworks from our window. Not sure what they were celebrating, they lost…but the fireworks were nice! All in all a very good market. It’s a whole lot of work, preempted by a whole lot of work, then it seems like a flash and we’re on our way home! My new patterns are now on my website, so check them out. …and I’m so glad and so exhausted! There’s a lot of physical labor required for attending market, both as a vendor & shopper. I was fortunate enough to have my daughter, Chloe help me out again. 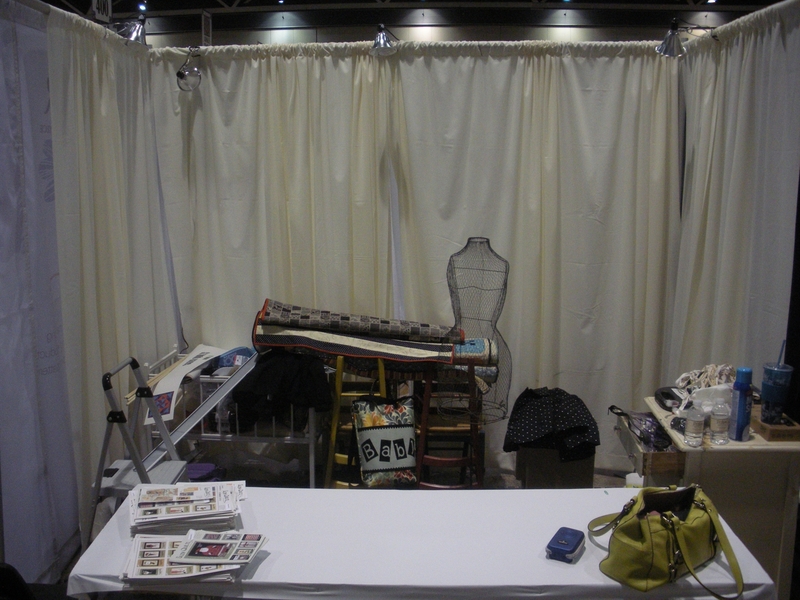 This shows our booth after everything was moved in and the drapes were hung. Since we drove a short 4 hours to Kansas City this year, we could bring along some fun props. This is a photo of the booth almost set-up, Chloe filing a broken nail? Lots of that happening! You would not believe all the compliments we got on the hanging chairs!!! Market was great, with lots of shop owners walking the floor & shopping! We handed out over 600 brochures. Here are some of our first shoppers. I’ve said it many times before, but I’ll say it again. 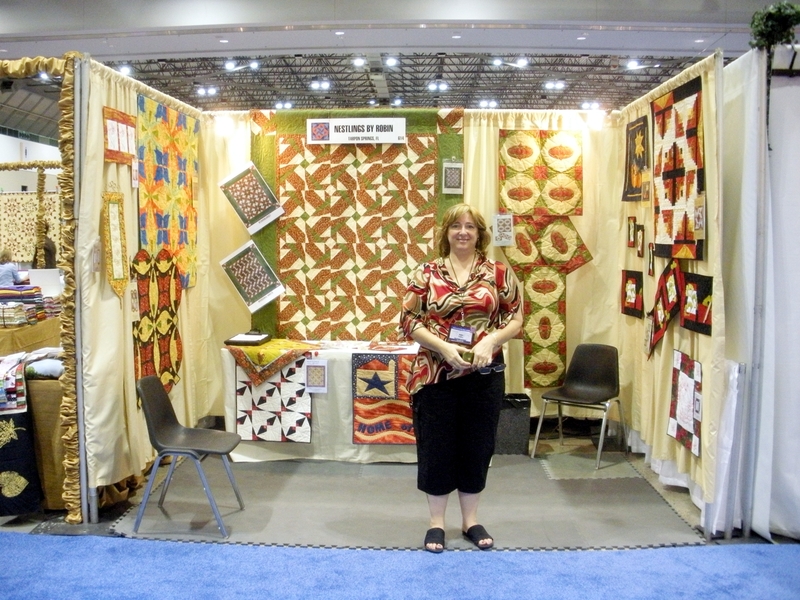 There are so many nice people in the quilting industry!!! 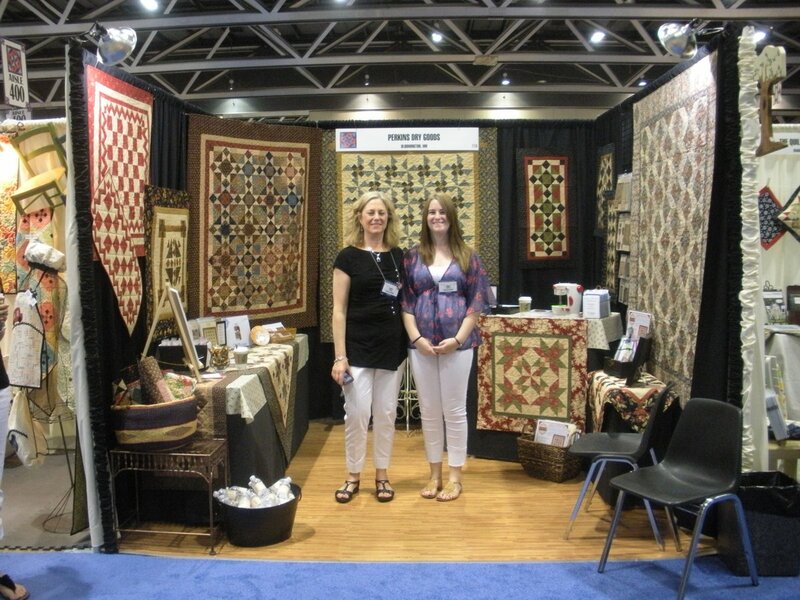 We had many compliments on our booth and the quilts. Of course my favorite part is taking orders and sharing the weekend with friends that I’ve met over the years while attending market. More photos of market neighbors & friends to come. but this is Suzn Quilts’ Baby Love. 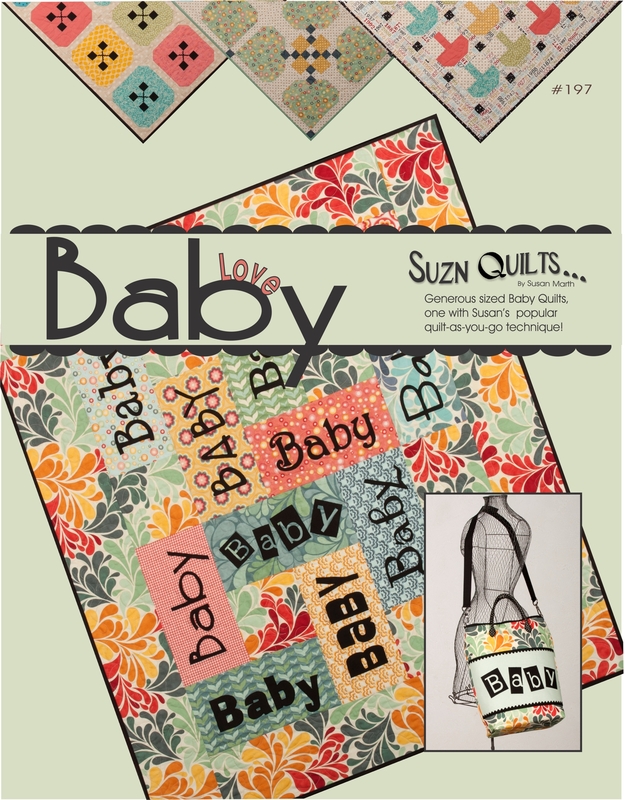 This book includes 5 generous sized baby quilts, plus a bonus quilt/pillow pattern and a baby bag. I’ve used more Salt Air by Cosmo Cricket for Moda and other Moda fabrics in these designs. My friend, Cindy tested several of my new patterns for me as well as my friend Robin. 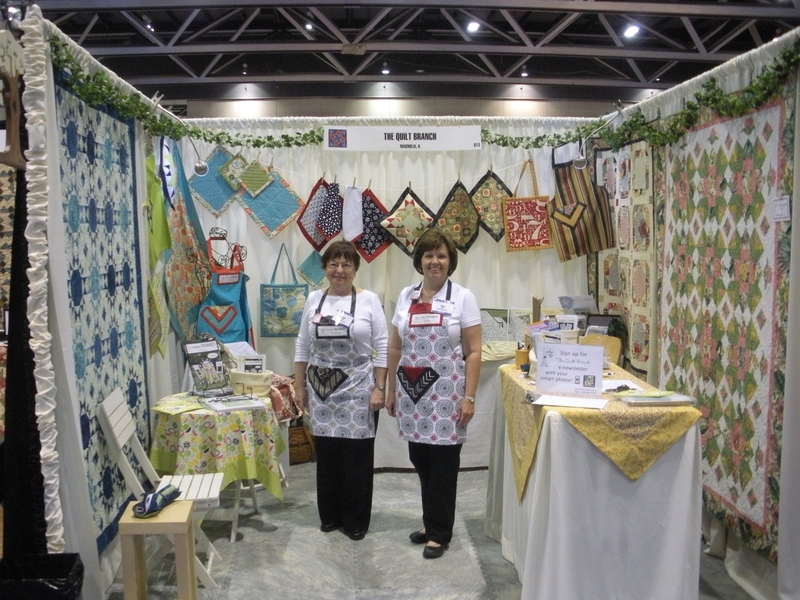 I could not have gotten all of this done without their help, or Judy’s help with the quilting of many of the samples. I’d also like to thank Matthew and Josie, my Toddler Towne models, Philip, my photographer and Wood River Printing for getting my books, covers and brochures printed so quickly and so well, thanks! I hope you’ve enjoyed my “new stuff” introductions. Look for them on my website soon. I’ll be home soon with market photos. I’ve been wanting to do some little boy patterns. It just seems like there is always an overabundance of little girl patterns out there, but not so for little boys. Keep in mind though, when I asked for the help of a little boy to sport some of the items for photography, I learned that his little sister is in love with cars as well, so she joined the photo session too! Well, I got started and couldn’t quit, so it turned into a book. 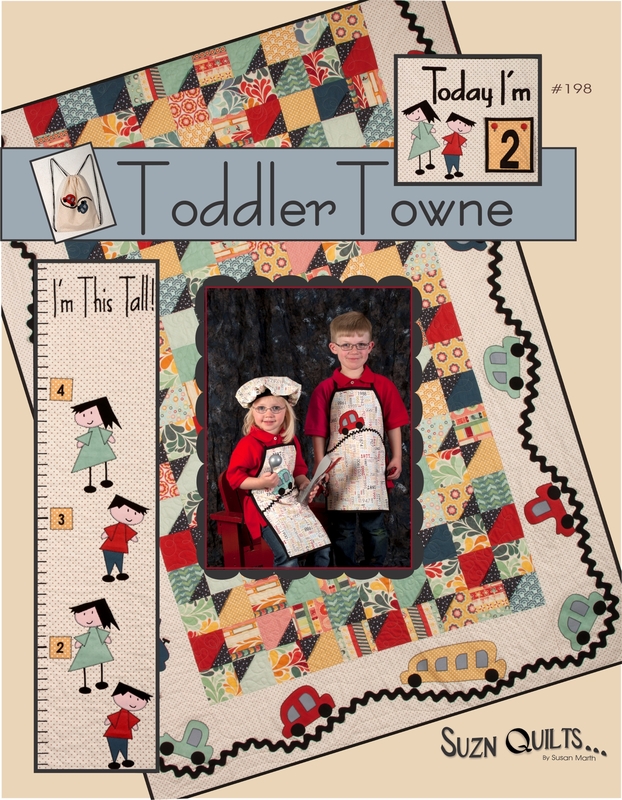 Included are a twin quilt, a growth chart, a birthday counter, an apron & hat and a backpack. I used a lot of Cosmo Cricket’s Salt Air by Moda, plus a bunch of other Moda fabrics. You will also see the jumbo rickrack that I’ve fallen for, so cute to use for a road, huh? Judy Bishop quilted this twin quilt for me. One more new design, and it’s another book! Next is a bright, cheery design. You are my Sunshine, is the perfect size for a baby quilt or wall hanging. I used my Plexiglass Mini Dresden Plate template to cut the petals. It allows you to cut 8 at once! You will find them both on my website soon. 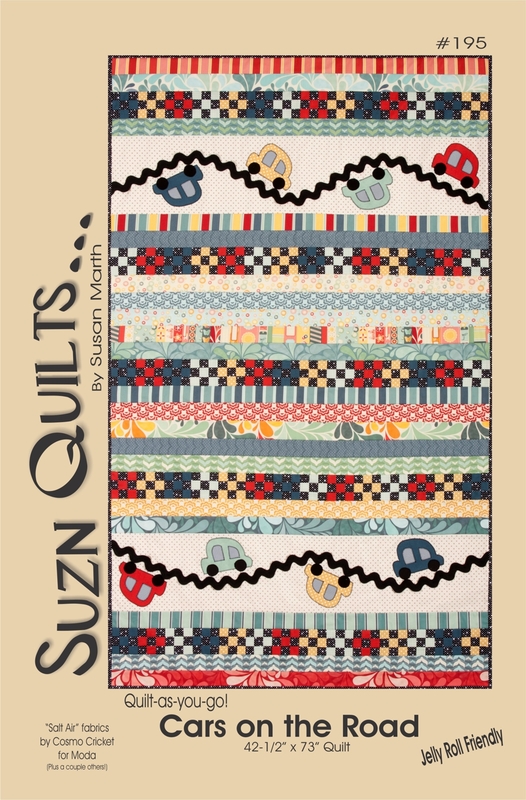 This is yet another new quilt-as-you-go lap quilt as well as table runner and place mats. I love the graphic impact of the design and colors of this one, how about you? I decided to make the runner or skinny quilt and place mats quilt-as-you-go too. It makes their construction really fast. This pattern will be available soon on my website. I know it’s been long in the making, believe me, I know! It’s hard to believe just how long it really does take to get an idea from my head into pattern form, and this is with a LOT of technology! Lately I’ve been starting my designs on my computer using a design program. Not that it designs the quilt for me, but I draw my sketches on my computer, unless I’ve started with a doodle, then I scan that into my computer as a jumping off place. It’s so much easier to begin in my computer for my applique pieces especially, then I don’t have to scan and re-draw them when I start writing the pattern. So, I draw an applique shape, or start a block with my mouse. This way I can play with scale, color, proportion, textures in fabrics, and get perspective, all without using any fabric or thread (so much quicker than sewing and un-sewing, etc.) This is especially handy when I have only so much sample fabric to use, or I’m trying to figure out how much sample fabric to order from my generous supplier; Moda Fabrics. They have been VERY generous to me, sending me new fabrics before they are even available to shops. When I go to market, quilt shop owners can see my new designs in fabrics they’ve just received or about to receive and it helps to sell the pattern & fabrics if they are somewhat coordinated. 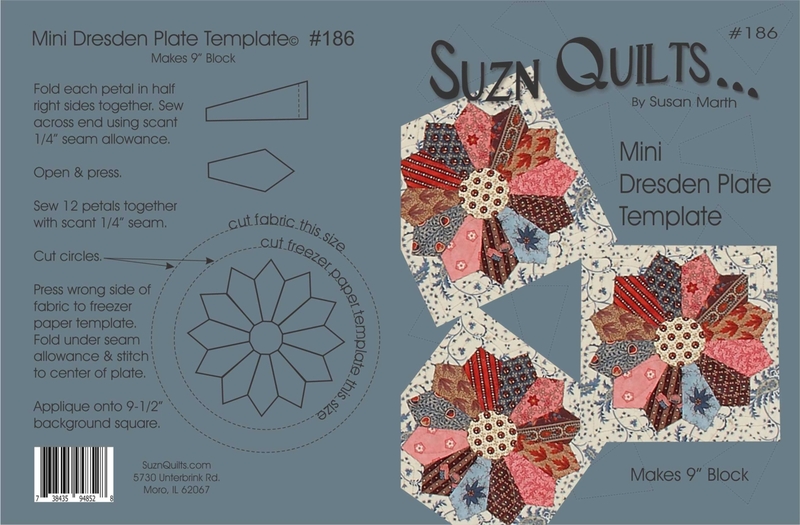 After I’ve decided on a design, I gather the appropriate fabrics and sew the sample(s), quilt them, or like a lot of my new designs this year, send them out to be quilted. Since my quilter, Judy Bishop moved, I have to ship them to her. She is like a magician. I send her my quilt tops, backing fabric and batting and she sends me back a beautiful quilt. I don’t tell her how to quilt my tops, she has a sixth sense about her that can see exactly what my top needs and just does it! I am spoiled by her! Usually while I’m waiting on that part, I can start writing my instructions on my computer, using the notes that I made while sewing and my computer generated illustrations. This time, instead of writing those instructions, I went right to work on another quilt. 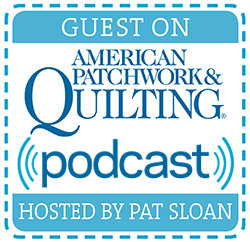 I actually sent Judy multiple quilts at once (a few times) to get all my samples quilted! I was making several quilts together to go into a couple of books. So, while Judy was quilting for me, I wrote instructions & had a couple of testers sewing and proofing my work. Then I get quilts back from Judy, put binding on them, and schedule my photographer. It takes a couple or few days for him to do his work getting the photos just right. 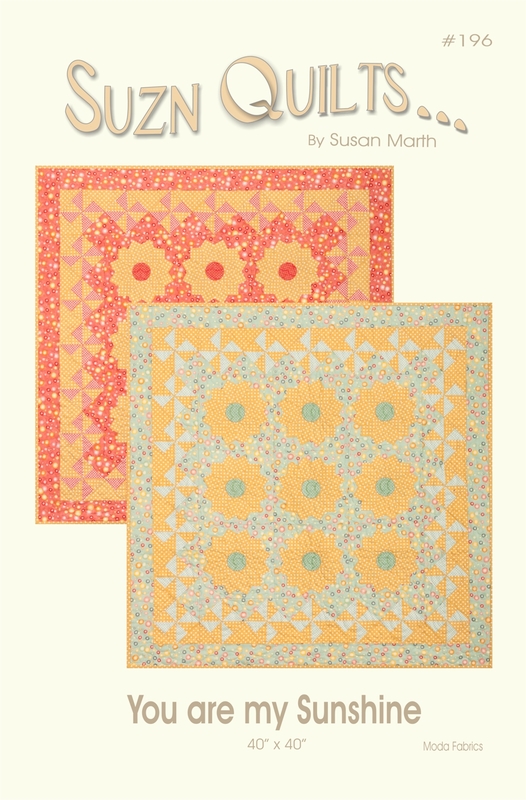 While I wait for that, I can design the covers, adding just the right colors to enhance each quilt. After I decide on a layout for a cover, I make at least three versions with various color backgrounds and have them printed. Next I trim them up and put them in pattern bags. I then hang them up and have family members vote on their favorite one. If I stand back a bit I can usually tell which one shows off the quilt the best. 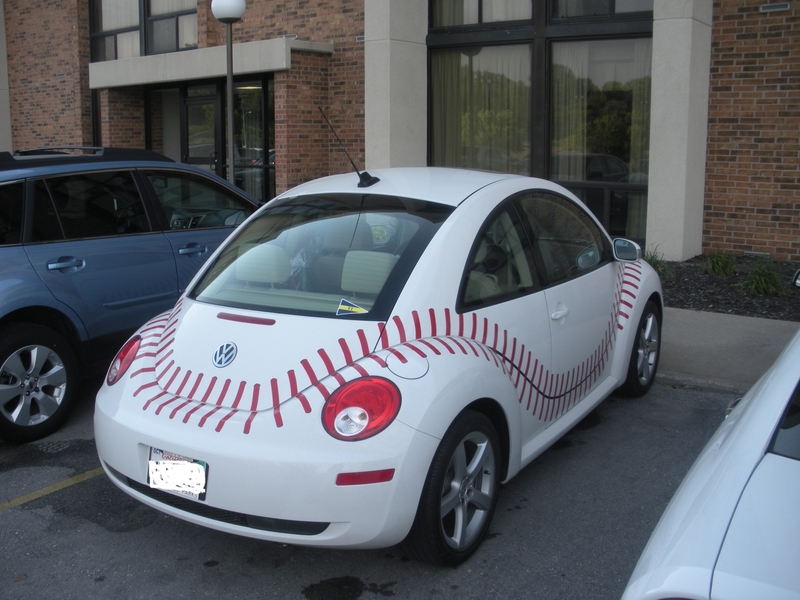 That’s the one I want! Then it’s back to the computer making the files so that the printer can print from them. It’s the latest of my Quilt-as-you-go lap quilts. I’ve used mostly Salt Air by Cosmo Cricket for Moda Fabics. You cut the backing & batting to the finished size of the quilt and baste them together. Fill the foundation with strips, then add binding and it’s done! 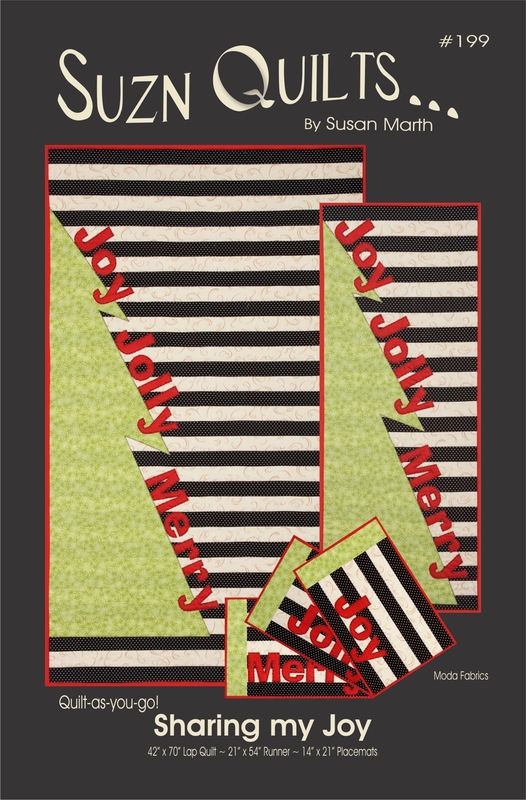 This one uses a jelly roll and some yardage. The pattern is available on my website. Stay tuned for the rest of my new patterns this week.